Small businesses are the soul of the streets and neighborhoods. Markets, bakeries, kiosks … Small businesses have always been there and are part of our day to day. Sometimes we see them endangered by the invasion of big companies, let’s not let them die. Who does not remember to go to the kiosk of all the life to buy sweets and that they will call you by your name? Who doubts the quality of the fruit brought from the villages next door when you go shopping to the market? Share your best picture and support the local trade with us and with the City Hall of Sant Andreu de la Barca. PRIZE DETAILS: 1st Prize: Mochila Sedona 51BL. 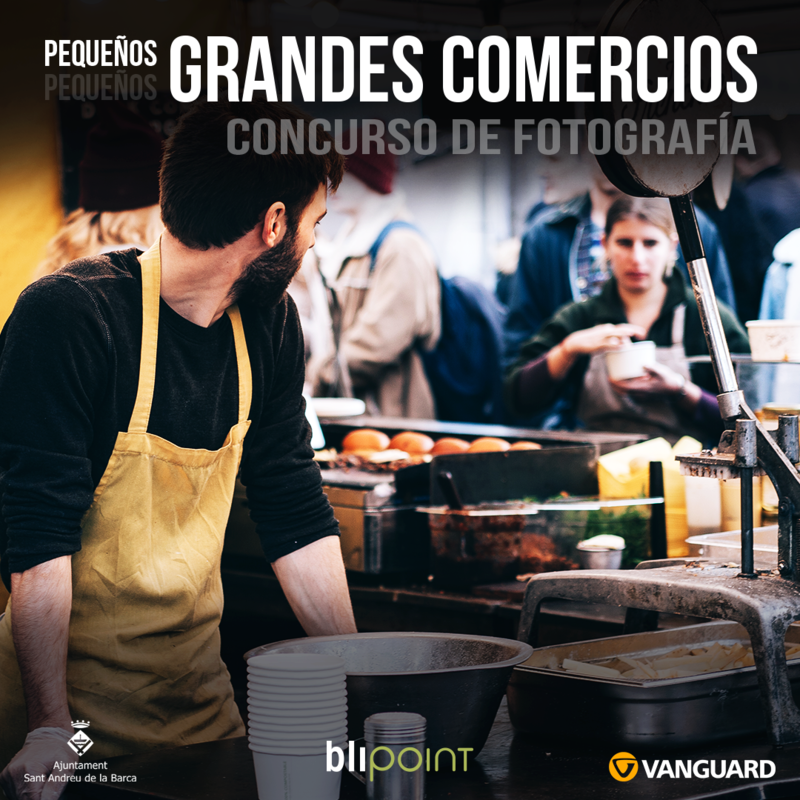 2º Prize: Trípode VEO 2 204AB Blue. 3º Prize: Mochila Reno 45 Blue. Not eligible to enter? - Find contest where you are. COPYRIGHT: They can help all persons, over 18 years of age or under 18 with the express authorization of their parents or legal representatives. Once known and accepted by the participant, the conditions of registration, data protection, intellectual property and all those of a general nature, are necessary for the participation of Blipoint users. - Images that have participated in previous Blipoint projects are not accepted. - By publishing an image, the ownership of the copyright is automatically confirmed and that the images do not affect the rights of third parties. - The right of reproduction: to the sole effects of realization, postcards or posters, promotional press insertions of the present call and publication in various means of Internet dissemination, stories such as; social networks (Twitter, Facebook, Instagram and similar rooms social networks used by Blipoint in the present or future), within the Blipoint web portal and blog related to Blipoint's own photography and art events or to third parties, only and solely with the purpose of disseminating and promoting the contest, the participants and winners of the contest and the photographs themselves, this activity being carried out free of charge and without direct profit on the part of Blipoint. USAGE RIGHTS: - The Blipoint platform, was obliged to respect the recognized moral right in favor of the authors in article 14 of the consolidated text of the intellectual property law. - With the present accepted, the comment, the publication and other information that you provide to Blipoint violate and any other thing that occurs to any third party, including copyright and trademark rights. It also accepts and receives information about other things that Blipoint is defamatory, obscene, harassing, abusive or illegal, and that it remains solely responsible for the contents of any comments or other information that you provide in Blipoint. - Contestants who meet the established conditions and winners will receive an email to receive the prize delivery. The winners have 15 calendar days to provide a Blipoint with a mailing address for the prize delivery. In case of not responding within the established deadline, the prizewinner will be considered as renouncing the prize. - The shipping of the prizes to the future will be free as long as the sea within the Spanish peninsular territory. The shipping and shipping costs of any other item will be borne by the winner.